Fleet Insurgent, Susan R Matthews (2017, USA). I’ve been a fan of Matthews’s Under Jurisdiction books since they first appeared back in the 1990s. They were definitely among the more interesting commercial sf being published in the US back then. Although apparently not interesting enough, as Matthews moved publisher after the first three Jurisdiction books, and two unrelated novels, and then lasted two Jurisdiction novels with her new publisher before being dropped. The next book came out from small press Meisha Merlin… who promptly folded. And it was another decade before Baen picked the series up, published two omnibuses, before continuing the series with Blood Enemies (see here). Fleet Insurgent, however, is a collection, some of it previously published, much of its contents intended to fill in gaps in the published series so far, or shed new light, or a new perspective, on some of its episodes. So it’s more like a companion volume than anything else, rather than a pendant volume. Which, as a fan, doesn’t overly bother me. 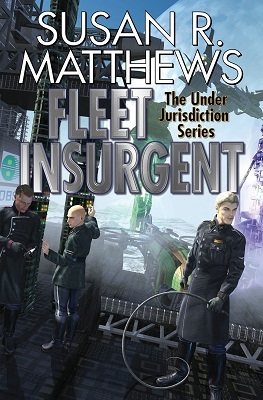 If anything, the stories in Fleet Insurgent provide welcome insight – as Matthews is not a writer who likes to make things easy for her readers. 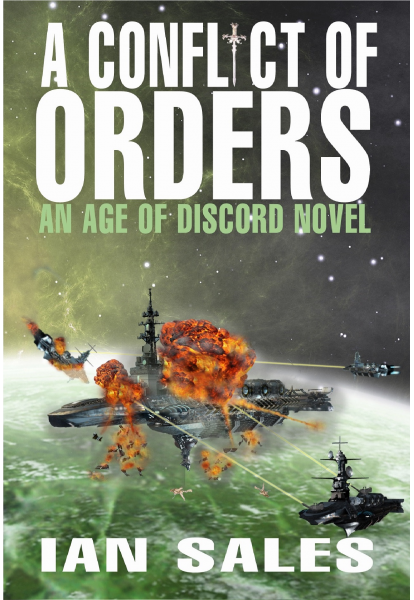 The writing is a deal better than I remember from recent rereads of the first two books of the Under Jurisdiction series, but that’s hardly unusual. However, it’s certainly not a good entry point for the series, as most of the stories will make zero sense without knowledge of the novels (despite an introduction to each story by Matthews). I seem to recall that Matthews had plotted out a quite a number of books in the series. I hope we won’t have to wait another ten years for the next instalment. 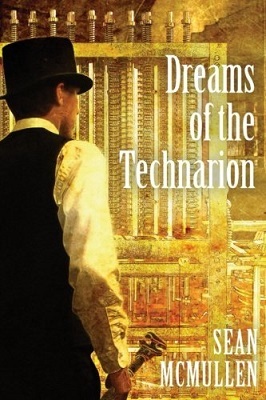 Dreams of the Technarion, Sean McMullen (2017, Australia). I was sent this for review by Interzone. I don’t think I’ve read anything by McMullen before, a few short stories perhaps. Some of the stories in this collection appeared in Interzone, although I don’t recall them. As sf collections go, Dreams of the Technarion is strong on ideas, if not on story – one or two feel like premises in search of a plot. 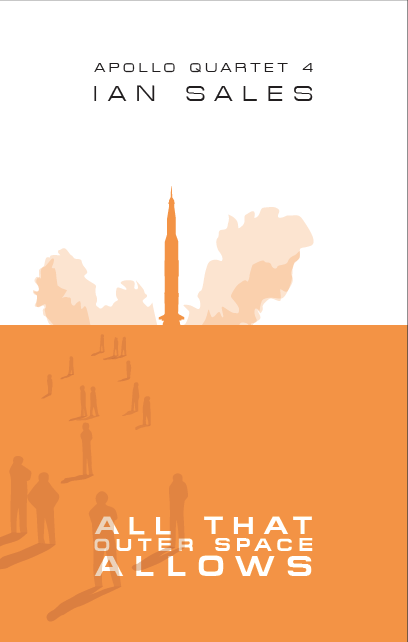 But what makes the book is the final story… which isn’t a story at all but an essay on the history of Australian science fiction. It’s fascinating stuff – and amusing too, albeit not always intentionally: when discussing early Australian pulp magazines, McMullen writes, “This is not the sort of thing to make the average SF reader do handstands, but it was good enough for an average Australian male caught in a toilet without a newspaper”, which I’m not entirely sure means what McMullen intended it to mean… Anyway, I almost certainly wouldn’t have read this had I not been sent it for review, but I’m glad I did. There’s certainly much worse out there, often much more acclaimed, and the essay on the history of Australian sf is fascinating stuff. A Primer for Cadavers, Ed Atkins (2016, UK). My sister bought me this for my birthday, although not from my wishlist. I’ve no idea why she chose it – when I asked, she said it looked “interesting”. Atkins’s name means much more to me now than it did this time last year, since I saw one of his video installations, ‘Ribbons’, at Kiasma in Helsinki, when I was in Finland for the Worldcon last August. I’m a big fan of video installations, and Atkins’s was one of the two in the museum I thought really good. So I was quite pleased to have a copy of his book. It’s a collection of… I’m not entirely sure what they are. Stream-of-consciousness pieces, I suppose. Neither poetry nor prose, but having some characteristics of both. One or two, I think, maybe the scripts from his video installations – they certainly share titles, such as ‘Warm, Warm, Warm Spring Mouths’. Much of the writing is visceral, as in, er, about viscera, detailed narratives about parts of the body – one is more or less an annotated list of parts of the brain as mapped by Korbinian Brodmann (isn’t that a great first name?). Most of the pieces are peppered with cultural references – there’s a plot summary of the film Sphere in one of them. I’m not sure if I liked or enjoyed A Primer for Cadavers, as it’s not the sort of book you can like or enjoy. Bits of it are extremely well-done, and a good deal of the writing is very clever. I guess that, like video installations cross over that line between cinema and art into art, so this book crosses over a similar line between literature and art into art. 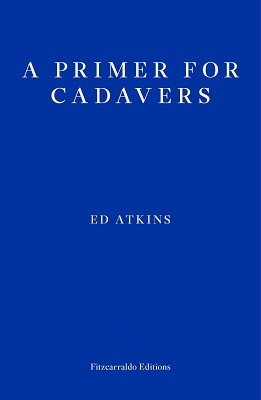 I’d already planned to keep an eye open for Atkins’s work when I visit modern art museums in the future, and after reading A Primer for Cadavers I’m even more keen to do so. 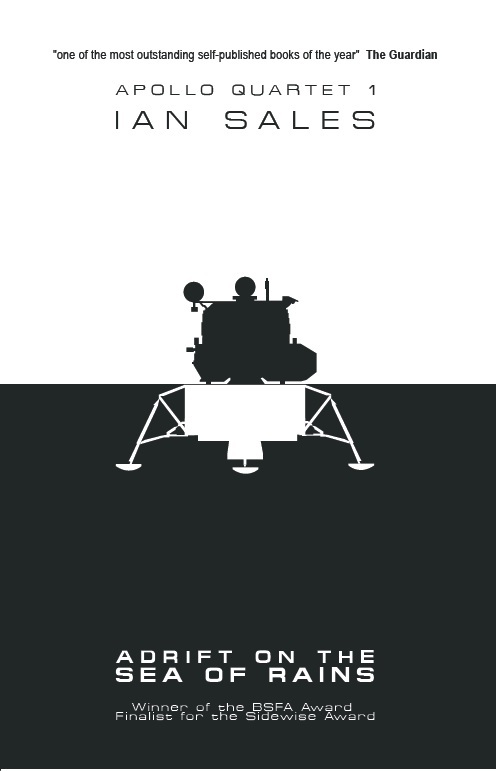 The Martian Simulacra, Eric Brown (2018, UK). 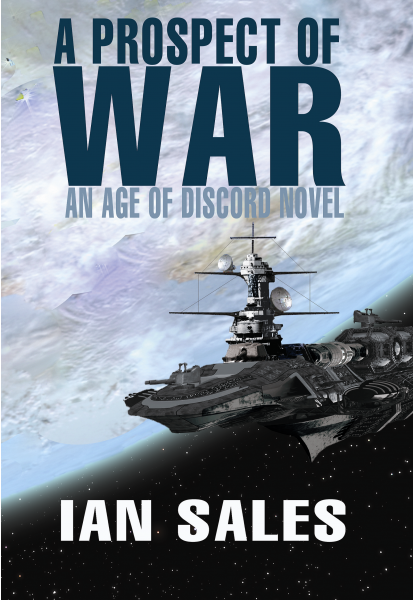 This is the second of the latest quartet of NewCon Press novellas, all of which are set on Mars. It’s subtitled “A Sherlock Holmes Mystery”, which is a bit of a clue to the plot. As is the cover art. It’s set after Wells’s Martian invasion. Although the invaders died, a second lot, claiming to be good Martians and the enemies of the invaders, arrived, and have pretty much taken over. Holmes is approached by a Martian ambassador, who asks for his help in solving the murder of an important Martian philosopher. On Mars. So he and Watson travel there, meeting a yuong woman en route, who appears to be involved with some sort of Martian underground. Because the good Martians aren’t so good after all. It’s exactly the sort of story you would expect from a mash-up between Sherlock Holmes and The War of the Worlds. Brown keeps it pacey, although he perhaps relies overmuch on stock tropes and imagery. A fun novella. 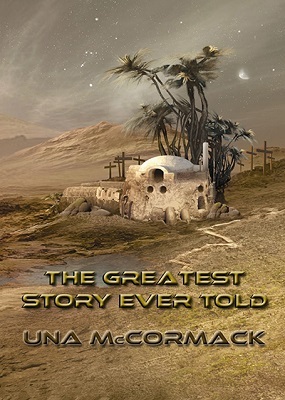 The Greatest Story Ever Told, Una McCormack (2018, UK). This is the fourth novella in the series – for some reason I skipped the third, not that they’re at all related in terms of story. And I think it’s set on Mars, like the other three, but it’s hard to be sure as there are no references to the Martian landscape. 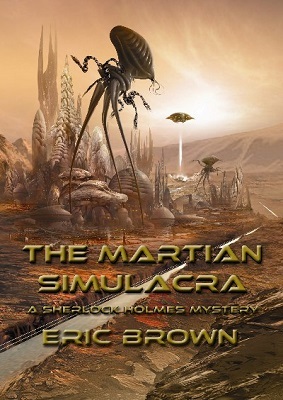 It’s not even as if the story needs to be set on Mars – The Martian Simulacra is a mash-up with Wells’s novel, so Mars is a given; and even The Martian Job (see here) required the Red Planet as its setting for its story, and almost certainly for its ending. The narrator of The Greatest Story Ever Told is a scullery maid in a household that trains “dance-fighters”. The society consists of masters, free people and hands. The hands are basically slaves. And they rebel. Led by the two most famous dance-fighters. After several months of freedom, by which time they’ve gathered several thousand to them, the masters send an army. You can guess the rest. Interspersed with the main narrative are short fables, framed as told by the narrator to other characters in the main narrative. Some of them have obvious morals, others I couldn’t see what point they were trying to make. Everyone in the story uses female pronouns. 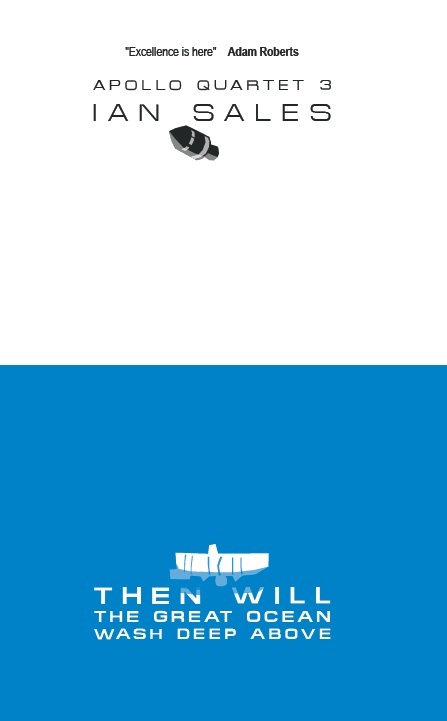 Of the three novellas from the quartet I’ve read so far, this was the least satisfying. 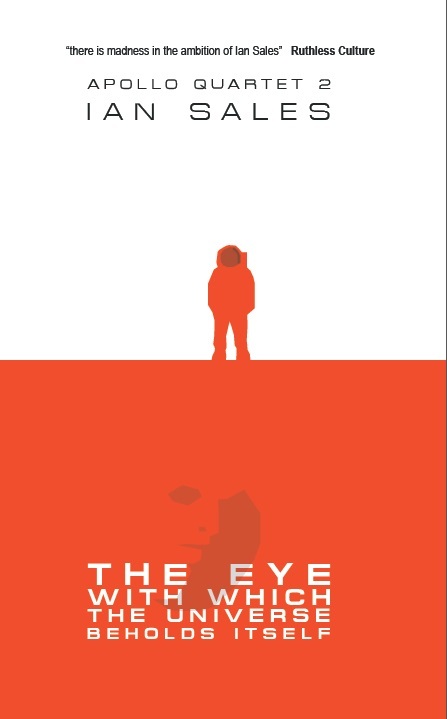 The setting didn’t feel like Mars, I don’t think slavery belongs in science fiction stories, and the narrator’s voice was a little irritating. The stories-within-a-story, while hardly new, gave the novella a little more depth, but I suspect it was over-used a little. Not my favourite of the four, so far. And I still have one more to read. 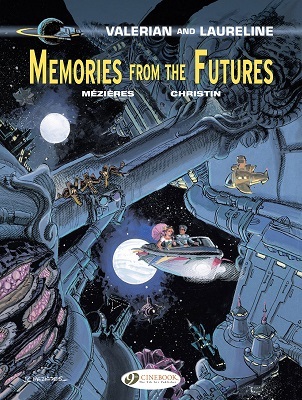 Categories: book review, books, reading diary 2018 | Tags: ed atkins, eric brown, jean-claude mézières, pierre christin, sean mcmullen, susan r matthews, una mccormack, valerian and laureline | Permalink.